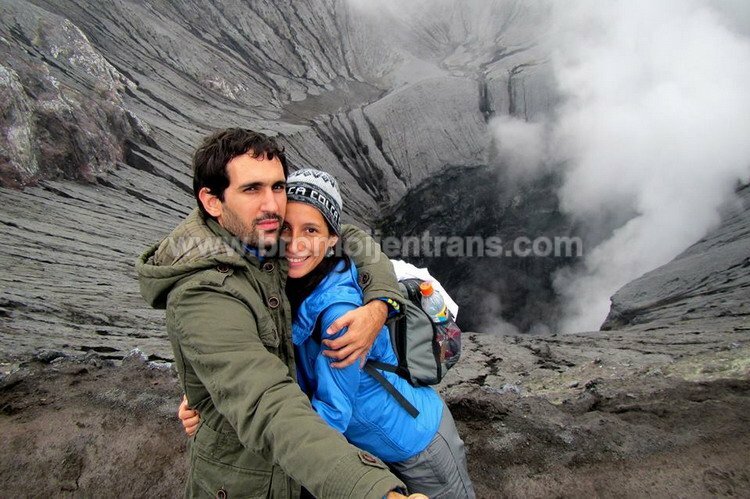 Bromo Tour from Surabaya or Malang to visit Bromo without stay overnight in any hotel in Bromo area. Why Bromo Midnight Tour have to ? 1. You have no time to stay overnight. 2. Suitable during high session period from July to August,or December to January. 3. Not depend to room hotels availability, during public holiday period where the room hotels in Bromo are fully booked and there clean hotels room available. 6. Not A sharing Tour but Lower cost tour package than other tour packages as you no need to stay overnight in Bromo. 7. Nightly departure with tour duration only 12 hours. 8. This tour could be combined with other tour. At.11:30 PM Collect the peoples from Surabaya, pick up from your hotel in Surabaya,train station or airport and leaving from Surabaya, directly to Probolinggo Regency visiting Mt. Bromo, which is well known as the most widest caldera in Indonesia (with 8 x 5 KM diameters of the main caldera on the height of 2000 meters above sea level). 05:00 AM You allow to enjoy the sunrise and and the panoramic view of Mt Bromo and Mt Semeru that will appear gradually. Going back to sea sand to ride a horse or walk to the foot of Mt. Bromo about 1.5 km/25 minute. 06:00 AM We’ll passing through the Sand Sea and climb up 250 steps into the peak of Mt. Bromo. There we’ll see (if the weather permit) the fantastic view of Tengger Plateau. 08:00 AM Going back to Cemorolawang village to have breakfast at Cafe Lava restaurant, and take a rest for a while before going back to Surabaya approximately 3 hours driving. 01:00 PM arrive at Surabaya transfer back to hotel,or train station in Surabaya or Surabaya Airport. 01:00 PM End of the journey. Note: please confirm 2 weeks before your arrival, to make sure you come.